Simplicity is refreshing. Simple ingredients, prepared in a simple way. It's hard to beat. So when a head chef of a fancy restaurant publishes a cookbook of simple dishes, I pay attention. Alfred Portale (Gotham Bar and Grill) is the subject at hand. He published Simple Pleasures several years ago, and it has risen to the top of my cookbook pile. 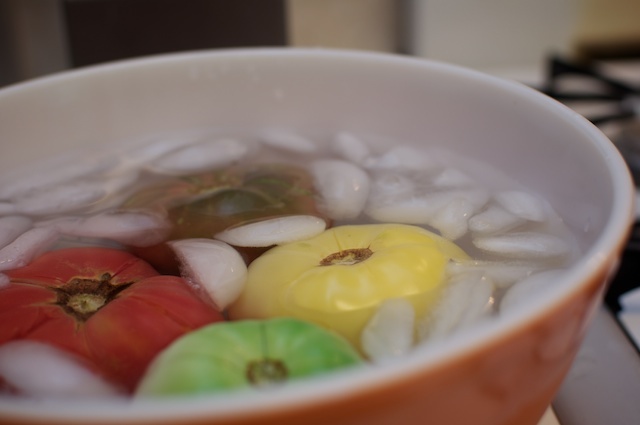 Boil a large pot of water and place a large bowl of ice water right next to it. Mark an ‘x’ shape on the bottom of the tomatoes, just deep enough to puncture the skin. 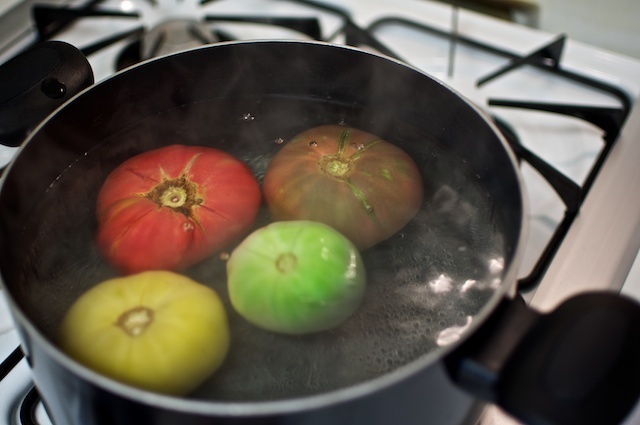 Place them into the boiling water for about 15 seconds. Place immediately into the ice bath. Now the skin will start to come away from the tomato. Grab a small knife and peel the skin away from each one. Chop the tomato in half, and squeeze out the seeds. 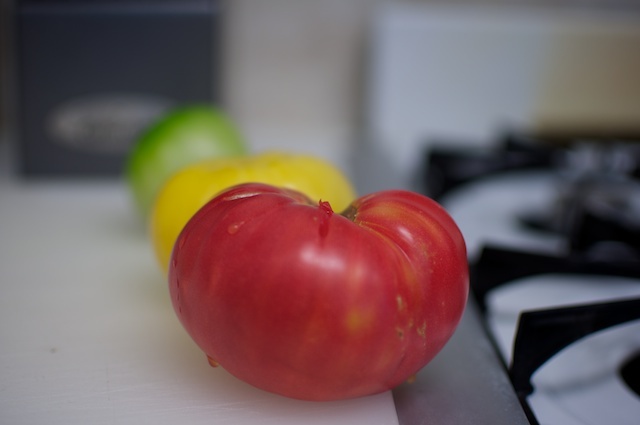 Give the tomatoes a rough chop and place in a large bowl that will be large enough to hold all the ingredients. Add the garlic, shallots, salt, pepper, oil and vinegars to the tomatoes and let marinate for at least 30 minutes. Bring a large pot of salted water to a boil. Add pasta and cook for about 5 minutes until tender. 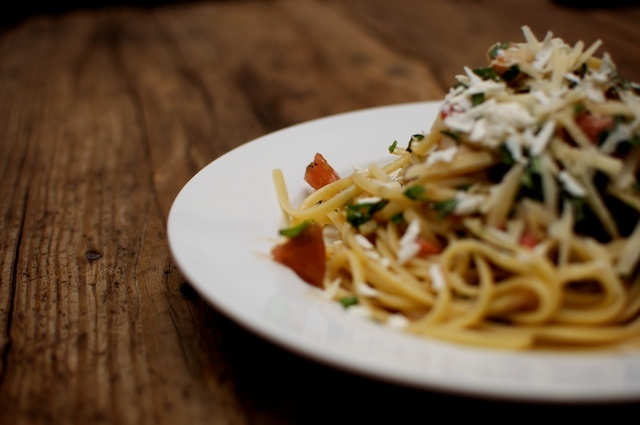 While the pasta is cooking, taste the tomatoes and adjust seasoning as needed. Drain the pasta. Add to the tomatoes and toss together. 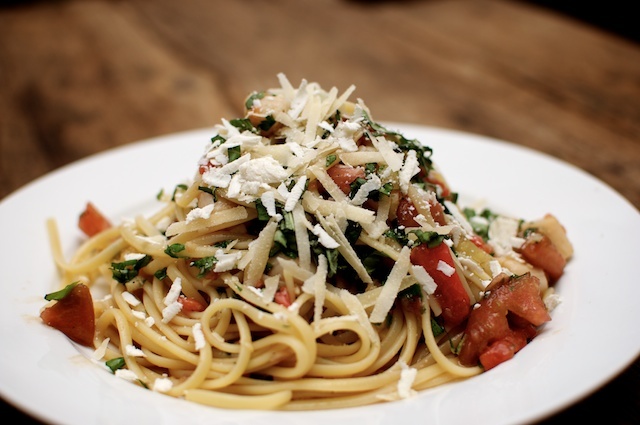 Serve pasta and top with grated cheeses and basil.